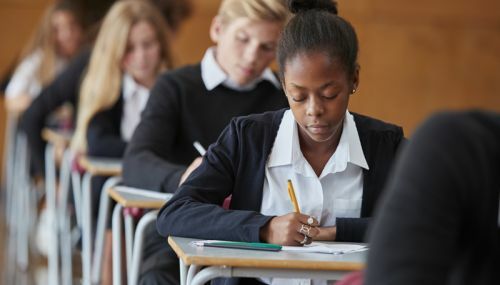 Teenagers’ own career aspirations could be perpetuating the gender pay gap, researchers at the Centre for Longitudinal Studies (CLS) suggest. New research, published today (13 December 2017) reveals that, while teenage girls are more likely than teenage boys to have high hopes of going to university and having a professional or managerial occupation, when it comes to salaries it’s the boys who are aiming highest. The research team at CLS, at the UCL Institute of Education, analysed data collected from over 7,700 teenagers in the UK who are all part of the Millennium Cohort Study, a study which has followed their lives since they were born at the turn of the century. When they were 14, the teenagers were asked a series of questions to find out their future aspirations. Gendered occupational segregation is a key component of the pay gap, and girls’ and boys’ teenage aspirations suggest that this is set to continue. These findings are based on the briefing paper, ‘The university and occupational aspirations of UK teenagers: how do they vary by gender? Initial findings from the Millennium Cohort Study Age 14 Sweep’. For a further analysis of these findings, see the working paper, ‘Is the future female? Educational and occupational aspirations of teenage boys and girls in the UK’ by Lucinda Platt and Sam Parsons.